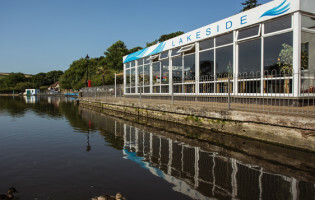 Located in quiet surroundings alongside Newquay’s boating lake, Lakeside offers visitors a variety of locally sourced, superb food throughout the year. Since 2007, our family-run restaurant is a vibrant, welcoming cafe by day, transforming into gastro delight by night. A popular destination amongst locals and tourists alike, join us throughout the day: where you can enjoy a coffee and homemade cake in front of the log fire, or place where dog walkers can rest their legs (and of course pick up a homemade dog biscuit or two for their four legged friends). 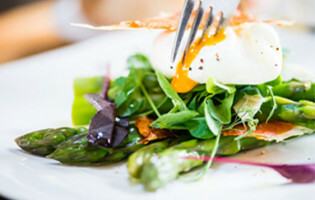 Our menus provide something for all palates, from simple salads and sandwiches to delicious steak and seafood dishes. We are happy to offer a larger selection of gluten free, vegetarian and vegan dishes – just ask when you book your table. Our specials board changes twice a day, with a children’s menu too.